Many research projects on which Jenny has worked have focused on the area of the theory and practice of career counselling and guidance and on the career development of women. Ongoing research interests include supporting career guidance practitioners in their use of labour market information (LMI) in career guidance, together with ICT; the theory and practice of careers guidance; the decision-making styles and career trajectories of individuals across Europe; the implications for career guidance of women's career development; the application of career adaptability in careers practice; examining knowledge maturing processes within and between organisations; and exploring ways of supporting Public Employment Service (PES) Practitioners in their ongoing professional identity transformation through the use of ICT. Currently, she is representing the UK on an International Career Adaptability Research Project, led by Professor Mark Savickas. 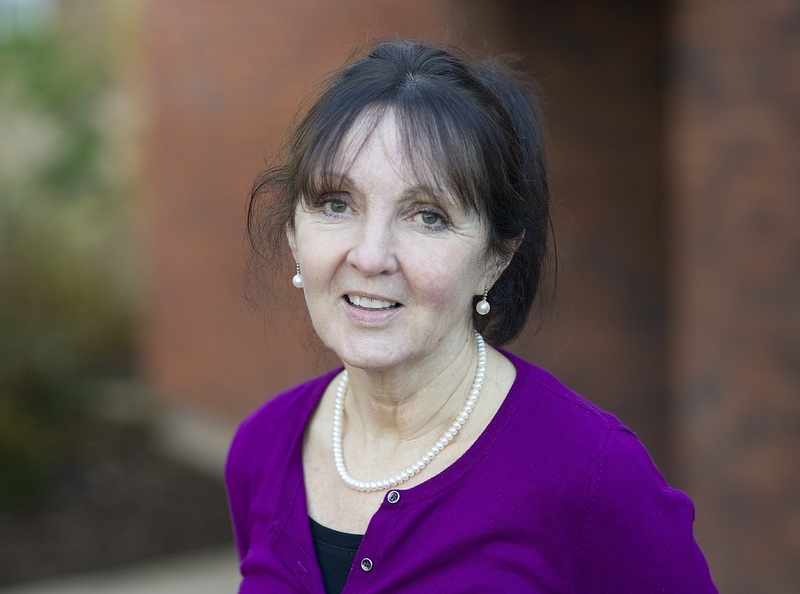 With over thirty years' experience in higher education, researching, managing and teaching at post-graduate level, Jenny also has extensive experience of external project management and consultancy, both in the UK and Europe. She is a Legacy Fellow of the Career Development Institute, a Fellow of the Higher Education Academy, and a Research Associate at the Nelson Mandela Metropolitan University, South Africa. She was a member of the Career Profession Task Force, convened by Government (2010-2012), Principal Investigator for an ESRC seminar series on the careers profession (2010 - 2012), Co Editor for the British Journal for Guidance and Counselling (2011 - 2015) and is a member of the Boards of both the Journal for Vocational Behavior and the International Journal of Vocational & Educational Guidance. One ongoing research strand relates to the effective use of labour market information (LMI) in career guidance practice. Another strand relates to supporting the use of ICT in careers practice. For example, through the EU FP7 funded four year MATURE project and through the development of a website (the National Guidance Research Forum website), funded by the Department for Education and Skills (2003 - 2009), designed to support and facilitate the integration of careers guidance research with practice. A particular feature of this website is the high quality, impartial labour market information, produced in collaboration with Sector Skills Councils. Current research in this area relates to a second EU FP7 funded four year project looking at ways in which ICT can support the professional identity transformation of Pubic Employment Service practitioners across Europe. Other research strands relate to the role of careers guidance in the career biographies of young people and adults making transitions into and through the labour market. Current and recent projects in this area include: a qualitative, five year longitudinal case study, which evaluated the effectiveness of careers guidance for adults, undertaken for the [then] Department of Education and Skills; research undertaken for the European Commission into the career trajectories of adults across Europe; a qualitative evaluation of a career adaptability framework being developed from an international research study, funded by the UK Commission for Employment and Skills; and an international comparative study of the career trajectories of older women across six countries. Other research includes an investigation into information, advice and guidance offered by Sector Skills Councils; a feasibility study into the provision of local labour market information (LMI) for guidance for Ufi learndirect; a national evaluation of the skills coaching pilot in England for the Department of Work and Pensions (DWP); the development of an on-line module to support guidance practitioners' use LMI in practice (LMI online learning module); a literature review for DWP on skills diagnostics and screening tools; and qualitative research into careers education and guidance provision within Connexions Kent & Medway. Overall project management of 'LMI for All'. With Nick Sofroniou, Rob Wilson, David Owen and Yuxin Li. Funded by the UK Commission for Employment and Skills, to create an open source web portal containing high quality, reliable labour market information to support labour market transitions into and through the labour market. Project Start Date 01/02/2012 - Project End Date October, 2018. Bimrose, J. (2017). Constructivism in online career counselling, in Career Counselling. Constructivist approaches, (210-222) Editor: M. McMahon, Oxford & New York: Routledge.ISBN-13: 978-0415385633. Reid, H., Bimrose, J., & Brown, A. (2016). Promoting reflection and learning in career construction counseling. In Journal of Vocational Behavior, 97, 51-59. PII: S0001-8791(16)30049-5; DOI: 10.1016/j.jvb.2016.07.013. Bimrose, J., Wilson, R., Barnes, S-A., Owen, D., Li, Y., Green, A., Bosworth, L., Millar, P., Holden, A., Attwell, G., Rustemeier, P., Elferink, R. & Higginbottom, J. (2015). LMI for All: Developing a Careers Database (Final report). London: UK Commission for Employment and Skills. Career Development Institute: Legacy Fellow; Chair: Research Committee (1997 – 2004); Research Committee member (2004 – present); Chair: Ethics & Standards Committee (2004 – 2007); Awarded Honorary Fellowship of the Institute (2003) – by process of peer review.